Gathered together on this new compilation series are Portuguese artists that stretch back into the past with the same inquisition as they press into the future, allured both by the original significance of tradition and the opportunity to reframe it. 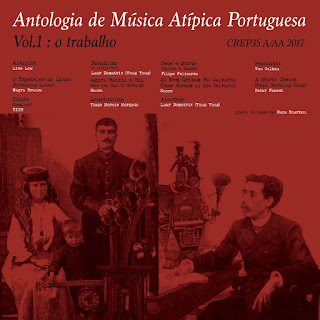 The theme of the first volume is “o Trabalho” (which translates as “work”), with the sounds here predominantly driven by steam and muscle and persistence: trains horns toot as they trundle through the countryside with cargo in tow, drums mimic the metronomic impact of axes and hammers, work songs liberate minds from the drudge of repetitious labour. These physical gestures are then smeared, serrated and bled into the apparatus of the modern day, with choral winds blistered by distortion (Filipe Felizardo), chants arcing over gentle synthesiser tides (Gonzo) and guttural throat-song set inside bitcrusher crystals (Calhau!). Despite the strong spirit of manipulation and collage, the general shape of those recorded historical artefacts are kept largely intact, which means that even the compilation’s most abstract flights maintain a connection with the earth below. 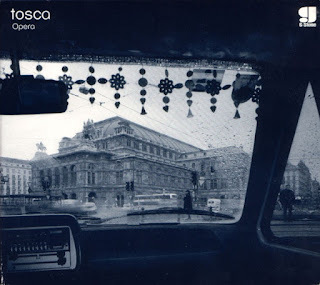 On Negra Branca’s “O Espatelar Do Linho”, the present is a comet trail pouring out of antiquity: synthesisers follow the ascent of mass song as it breaks through the ceiling, buoyed by chimes and the patter of mallet percussion, imbuing the jovial rise of voice with the shimmer of the cosmic. Meanwhile, the intertwining vocoder chants of Tiago Morais Morgado – whose low notes blur into gigantic rumbles of synthetic voice, grinding against eachother tectonic plates – maintain a visceral, thoroughly human depth through their fizz of electronic filtering. In retaining the essence of their source material, all of these artists exhibit a fascination with not just the sonic qualities of these sounds, but also the historical narratives that have carried their significance into the present.